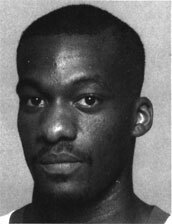 Drafted: Selected by the Miami Heat in the second round (29th pick overall) of 1991 NBA Draft. Do you have any idea about the print you let in switzerland? you moses and butler were my favorite players because how you controlled the defense . love what yall did ! Hey BIG George what is up with you? I was at Garden City with you in 1987. Heard from Omar , Tree, Derrick, or Dennis.